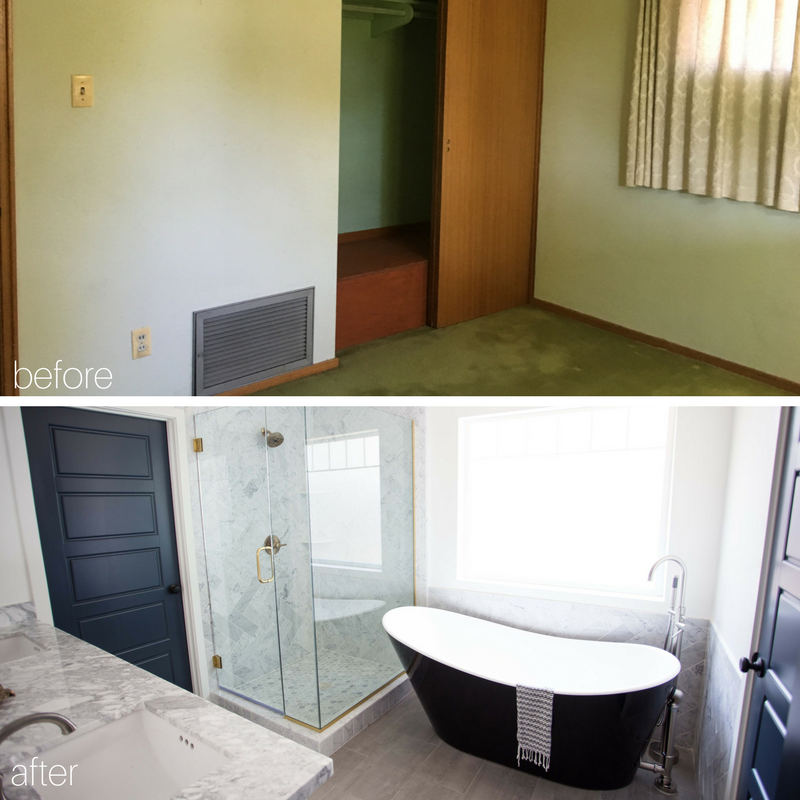 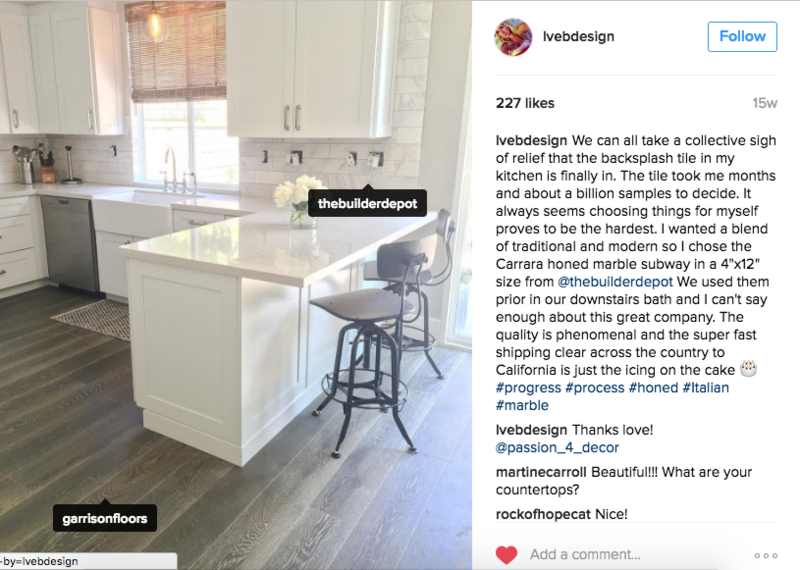 All this credit of design goes to Instagram @401hamiltonhouse. 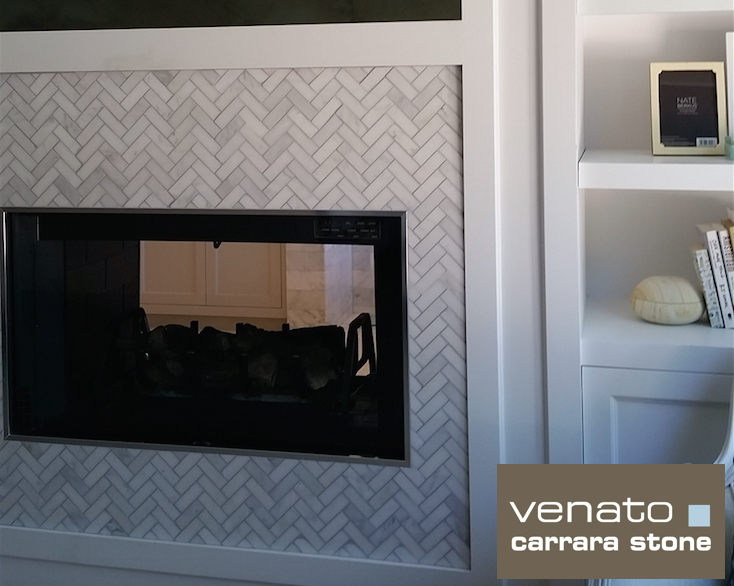 Carrara Venato & Bianco 1×3″ Herringbone (and answer to fireplace question). 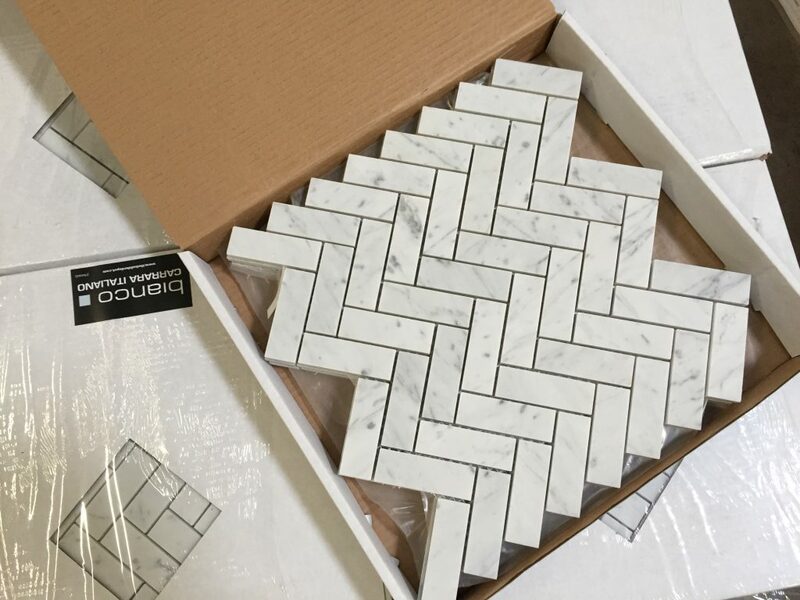 Water-Jet Cut Hexagon Marble Mosaics with Thin-Strips. 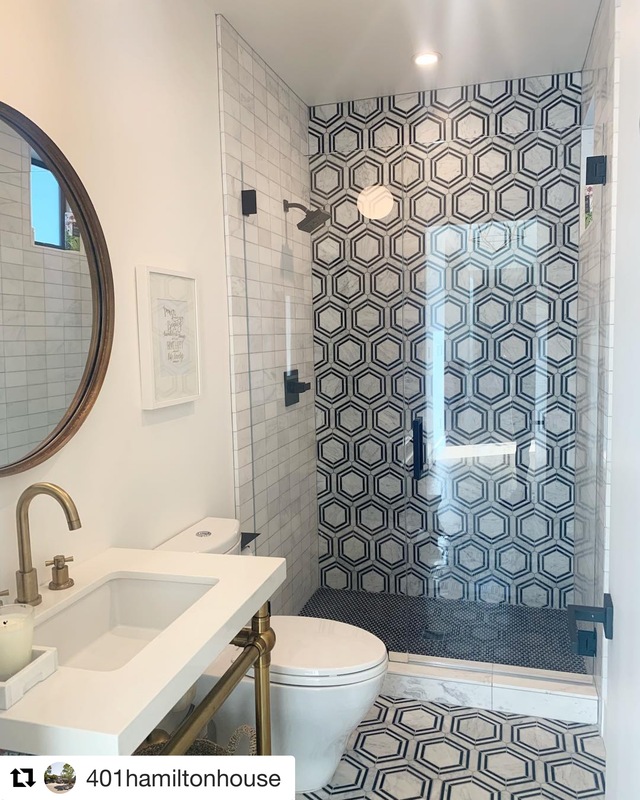 Carrara Bianco Marble Water-Jet cut Mosaic with Bardiglio Gray Tram lines to Accentuate the Hexagon Mosaic Tiles. 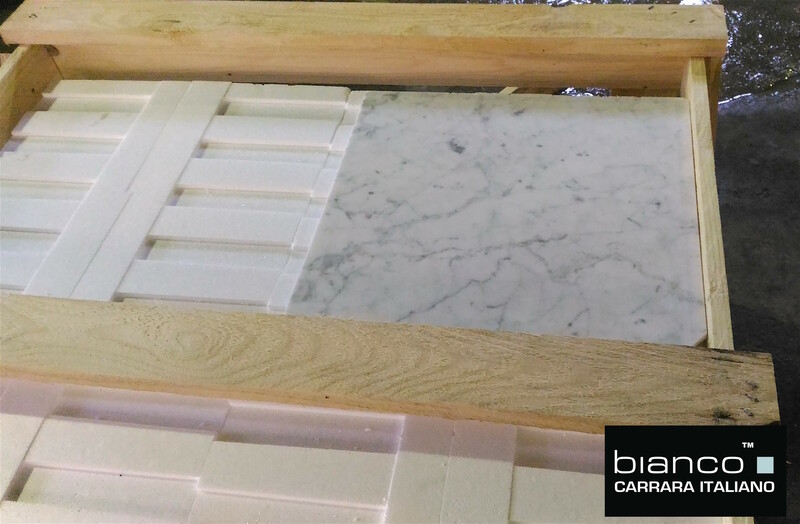 Bianco Carrara all matched up and ready to Ship. 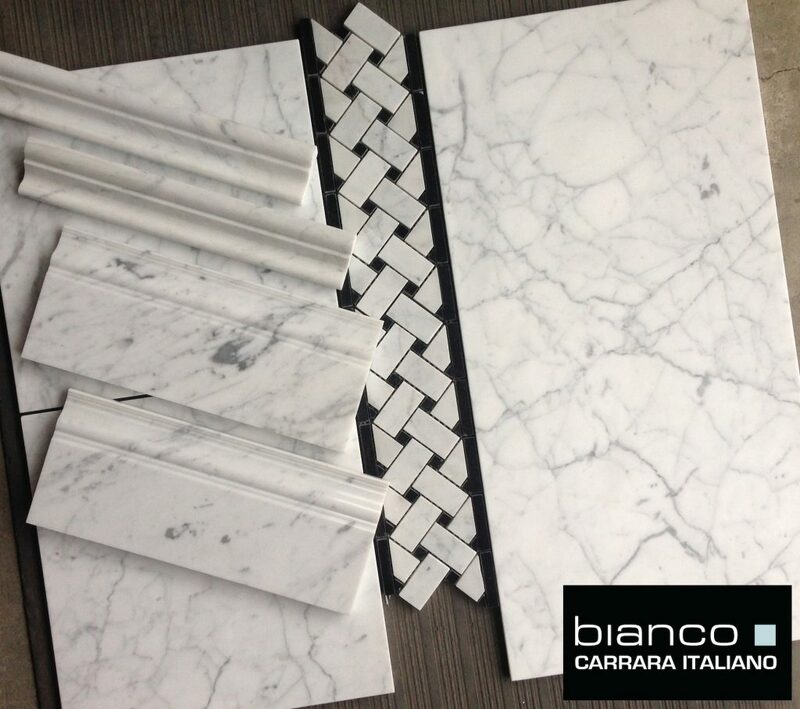 Bianco Carrara Collection Italy finest. 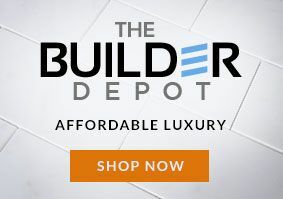 The collection can be found here with a choice of over 60 different types of field tiles, mosaics, borders and trims. 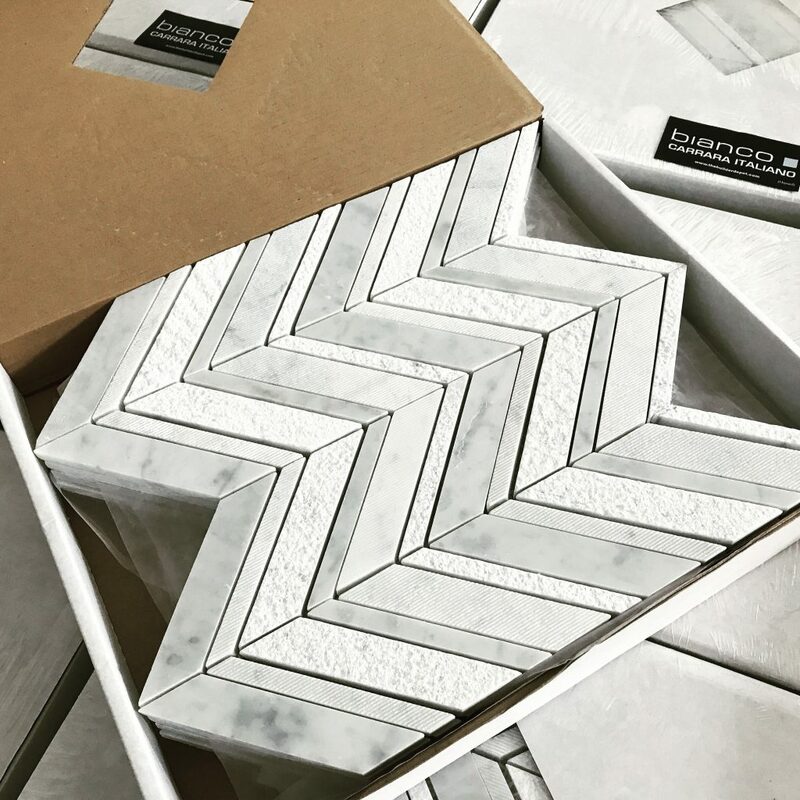 Carrara Bianco 1×3″ Herringbone $12.75 a Square Foot. 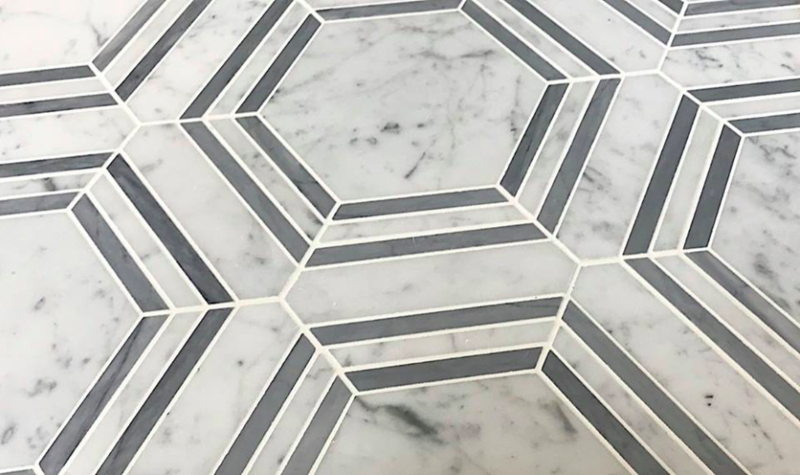 Brushed, Hammered and Grooved Chevron and Hexagon. 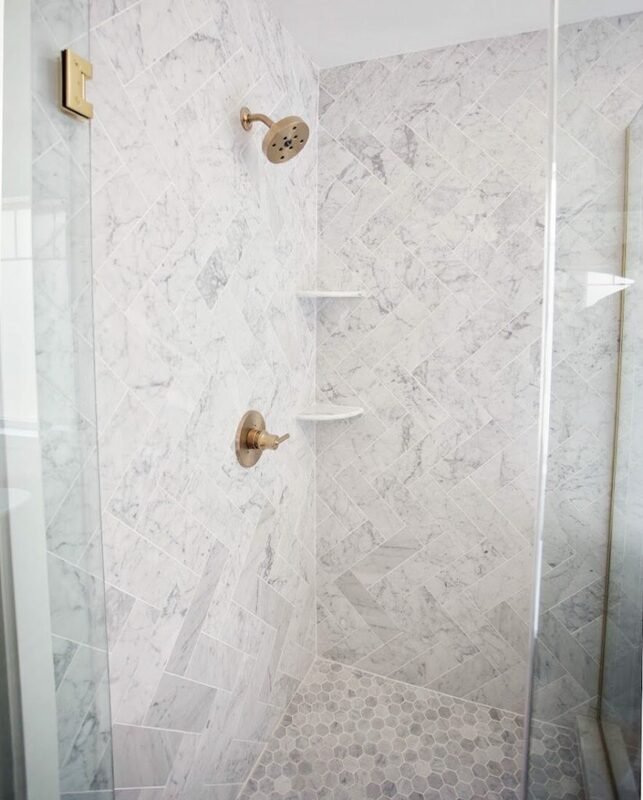 Beautiful Carrara Bianco Shower with 4×12″ Herringbone.